Christian Fiction. 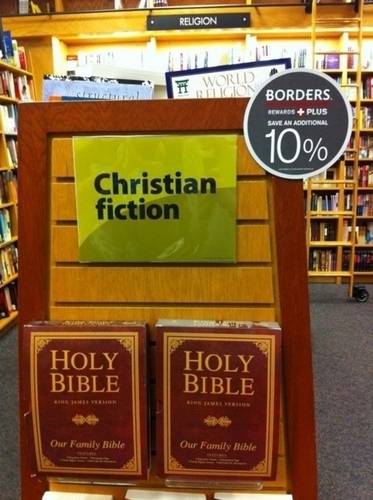 Even bookstores agree!. Wallpaper and background images in the Atheism club tagged: atheism christianity christian fiction books barnes and noble store sale bible bibles. This Atheism photo might contain bookshop, bookstore, bookstall, reading room, athenaeum, and atheneum.